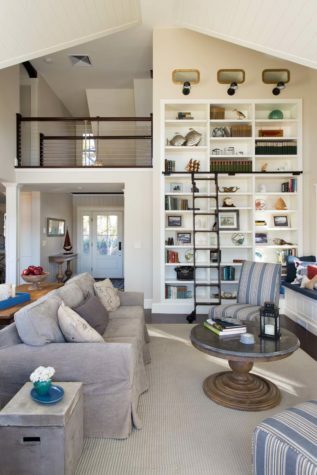 Shelving has many facets: it can double as both storage space and room divider; it can be completely closed off or wide open and decorative in its own sense; it can be the backdrop for a room, or it can be the centerpiece. 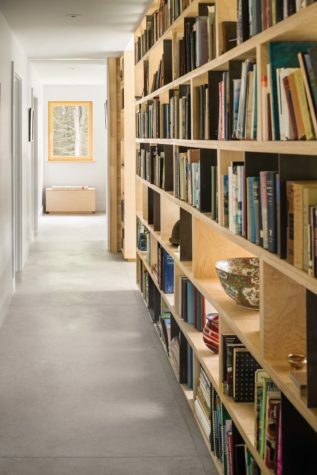 Shelving is, in fact, much more exciting than the word implies. With endless customizable options, shelving may be fixed, adjustable, floating, cornered, or pullout. 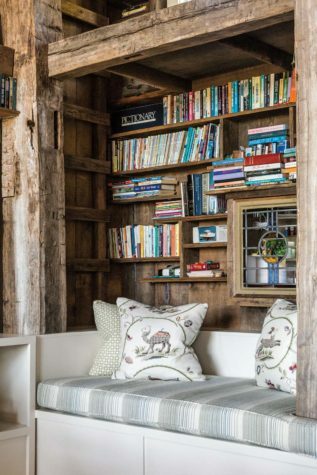 Whatever style is present, shelving adds a wealth of character to any room. 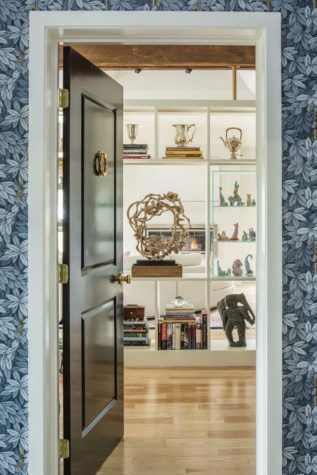 Whether they are floor-to-ceiling, dividing a room, or just accenting a wall, built-in shelves beg to be filled with art, books, and beloved objects. 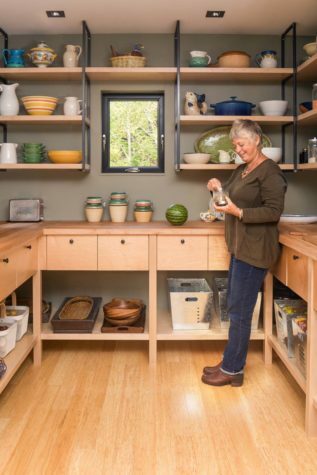 Functionality is another defining characteristic of shelving, as seen in the open kitchen storage in this section. 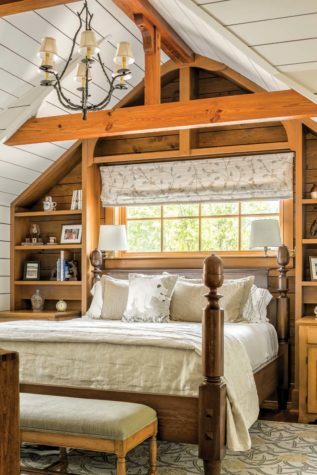 Framing a bed with built-ins adds quiet charm and allows for easy access storage. 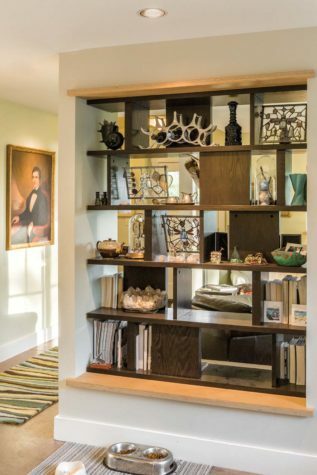 Or shelves can be used simply to facilitate wall decor that goes beyond hanging a painting here and there. 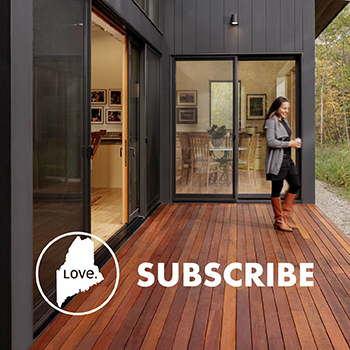 To take full creative advantage of wall-to-wall shelving, don’t let windows get in the way—build around them. Comparing and contrasting the different styles of shelving can help determine the best way to properly store and display treasured items.